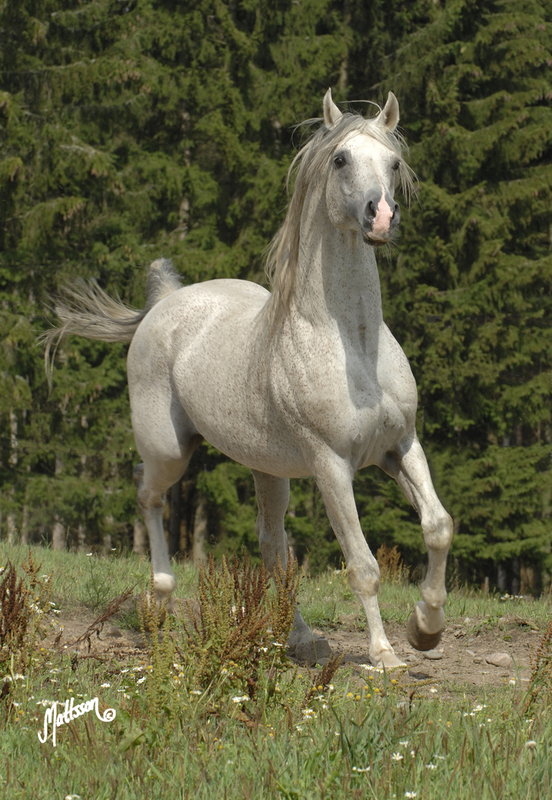 Preference was bred by Blommeröd Arabian Stud and he was named 1992 Swedish National Junior Champion Stallion and 2002 Swedish National Champion Stallion. Preference was bred by Blommeröd Arabian Stud and his sire Pers (Enos x Pentoda) was leased from Janów Podlaski for two seasons. Pers sired two National Champions in Sweden, the filly Necessa (out of Nianka) and Preference – 1992 Swedish National Junior Champion and 2002 Swedish National Champion Stallion. Pers was by the 1981 Polish National Champion Stallion Enos (Bandos x Enora/Czort) and out of one of the best Bandos-daughters in Poland, the great producer Pentoda (out of Piewica/Priboj). Preference dam Ceremona is by the Swedish National Champion Stallion Algomej, known for his magnificent movements which he consistently inherits to his offsprings. Ceremonas dam is the great mare Cesa, a daughter of Sakla.